A little more than a century ago, in 1897, the first piece of published music carrying the word “Ragtime” appeared – and by the following year, the floodgates were open. Ragtime music gathered momentum as the new century approached. Ragtime publishing operations grew out of existing music houses in major cities across the U.S. Perhaps no other city had more such activity than New York. Tin Pan Alley was in its infancy in the 1870s, but grew steadily with song hits in the 1880s and 1890s which proved to music publishers just how viable the new music was as a business. The public loved Ragtime’s peppy, upbeat-sounding syncopations, lively melodies, intricate rhythms and beautiful harmonies. The music’s rolling sound and thumping bass seemed the perfect expression of American optimism and self-confidence. As the 19th century waned and the 20th appeared, the music seemed all the more fitting, and Ragtime’s popularity continued unabated past the decade mark (1907) and up to and past 1917. Even after its 20-year reign as America’s pop music seemed over, Ragtime had still prevailed: Most of the pop music developed since owes a debt to this great forerunner. …But Ragtime never really died – it just dissolved into the American musical underground for a decade or two, then began to bubble to the surface again. Ragtime music repeatedly enjoyed renewed popularity in a series of revivals beginning in the early 1940s and culminating in an explosion in the early 1970s, led by interest in black history in general and, in particular, Scott Joplin, whose music was being lionized by academia while also being featured in the 1973 Hollywood movie “The Sting.” During this period, from the 1950s on, Ragtime societies and annual festivals sprung up across America and even around the world, celebrating this wonderful music by keeping it alive through continuous live performance, comparison, discussion and analysis as well as the composition of new Ragtime pieces for piano, band and voice. The formation of RagFest in 2000, and of the Orange County Ragtime Society a year later, typify this love of Ragtime music and are a response to the desire to enjoy, celebrate and preserve the joys of this unique and special American musical art form. How did you first discover/start playing ragtime? During the early 1970s, I seem to have been exposed to ragtime from several sources, all at around the same time frame. We moved to Orange County from Massachusetts in 1970. Every time we visited Disneyland, I would be fascinated by the piano players at Coke Corner and Carnation Plaza Gardens. I didn’t know what ragtime was, but I knew that I loved whatever it was that they were playing. Each time I went to Farrell’s Ice Cream Parlor, I would spend a lot of time pumping quarters into a coin-operated player piano, just to watch the amazingly intricate movement of the keys and hammers and to get feel of the rhythms. And then the Hollywood film “The Sting” came out in 1973, featuring several of Scott Joplin’s piano rags. Soon after, I purchased a five-record album set called “The Complete Works of Scott Joplin” plus several more recordings of ragtime pieces by Joplin, Jelly Roll Morton and others of the ragtime era. Around this same time (1974 to 1976) I also bought my first piano scores and began to learn to play ragtime piano. What is it about ragtime music that makes you prefer it (or not) to other music? Numerous elements factor into what makes ragtime my music of choice not only when it comes to playing and performing but also in listening to others who are skilled at performing it. This is not to say that I don’t enjoy listening to other types of music, but as long as I’ve been playing the piano, I’ve enjoyed and gotten more satisfaction from learning, playing and performing ragtime music on the piano, as well as in composing new ragtime piano pieces. Compared with most other forms of music, ragtime is considerably complex from a technical standpoint. Its combination of multiple polyrhythms , normally mostly in the treble but often in both hands, is one major element. The music’s harmonic structure and often surprising modulations are another factor. Strong melody lines and melodic content are yet another firm element. 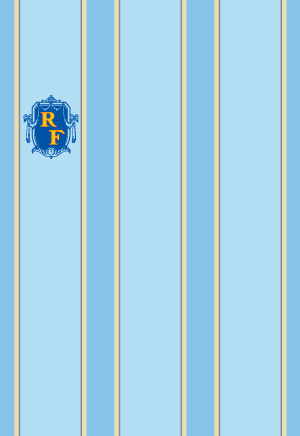 The internal compatibility of each of any ragtime piece’s multiple themes create an additional layer that, when combined with a rag’s rhythms, melodies and harmonies, form a distinctive musical composition that often has a composer’s signature “fingerprints” on it which can be seen by looking at the score or in hearing it being performed. Several more elements make the reportory of published ragtime music an almost inexhaustible supply of enjoyment that is vastly preferable to the majority of popular music available to any musician. One factor is ragtime’s tremendous degree of musicality. Rags are often ingenious in their overall form, structure, melodies, rhythms and harmonies. Many are so sophisticated as to be able to sustain an almost narrative quality – such rags, in effect, impart a story to the listener using just music alone. 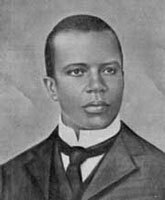 Many of Scott Joplin’s best compositions have this narrative quality, and it is indeed powerful – examples of which include “Wall Street Rag,” “The Cascades,” “The Easy Winners,” “The Entertainer,” “Pine Apple Rag” and “Gladiolus Rag.” Other composers of the so-called “classic rag” (that is to say, modeled upon the style, form, content and artistic goals of Scott Joplin’s vision of ragtime music) have also proven skilled in composing rags in which a definite dramatic arc can be traced from the opening bars to the rag’s conclusion. However, this trait isn’t simply restricted to classic rags – many examples can also be found in several other of ragtime’s sub-genres (eg. early or folk ragtime, popular ragtime, advanced ragtime, Stride, and novelty piano). Some 5,000 or more ragtime pieces were published between 1897 and 1918 (the original ragtime era), and while a sizable number of these are ragtime songs or vocal numbers, the majority (perhaps 3,000 in all) are written for piano or other instruments. Since the early 1940s, new composers have been writing new original ragtime pieces. That’s a total of more than nine decades (so far) during which original ragtime music has been composed, published and performed. So there is no shortage of great, near-great and very good ragtime for anyone today, and one of the delights in learning, playing and performing such pieces is the joy of discovery – finding a piece that grabs you, committing it to memory and working up a performance of the piece that is both enjoyable for an audience to hear and fun for you to perform. Every single ragtime piece carries its own rewards for those willing to continue to add new pieces to their repertoire. Do you have a favorite rag or ragtime composer? When I first started out, the only composer who really interested me was Scott Joplin, and even though many of his pieces were, at that time, beyond my technical skills, I wanted to be able to play them. Since then, of course, I’ve been learning, playing and performing ragtime pieces written by dozens, if not hundreds, of Joplin’s contemporaries – men and women who wrote superb piano rags during the “ragtime years” of 1897 through 1917 (though some are within a few years later than 1917). 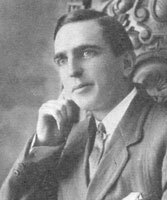 I’ve long enjoyed learning and performing the ragtime pieces of a long list of ragtime composers from the vintage era that includes but is not limited to James Scott, Joseph F. Lamb, George Botsford, Charles L. Johnson, May Aufderheide, J. Russel Robinson, Artie Matthews, Paul Pratt, and Charley Straight. Each year, I try to add at least a handful of new pieces to my repertoire, which now includes more than 270 piano pieces, most of which are ragtime or ragtime-related pieces. Although my focus has almost always been upon the vintage ragtime composers, I’ve learned and performed pieces by more recent ragtime composers like Glenn Jenks, Frank French, Tom Brier and others. In addition, I’ve composed more than 60 piano rags, roughly one-fourth of which were written in collaborations with Tom Brier and others. I don’t tend to perform these pieces as often as the vintage pieces, but only because of the limited time available during any given performance. I have enough material right now to record several CDs or give several two-hour solo shows and not repeat any material – there is that much ragtime on hand for any performer who wishes to focus on the ragtime genre. Are you familiar primarily/only with traditional piano ragtime music, or are you also familiar with/fond of “Novelty” ragtime? I’m well familiar, of course, with Novelty piano, which is one of several genres (or, if you prefer, sub-genres) of ragtime music that was one of several outgrowths of the earliest examples of ragtime (circa the mid-1890s through 1905), “pop” or Tin Pan Alley ragtime (1906 through 1913 or so) and the ragtime of Scott Joplin and his followers (circa 1899 through 1910). Am I “fond” of Novelty ragtime, which is bettern known as Novelty piano? I certainly am, although the majority of the greatest Novelties – those composed by Zez Confrey, Roy Bargy, Billy Mayerl and many others – are beyond my means from a technical standpoint. That means that like most fans, I can enjoy Novelty piano only by listening to recordings or watching either a live pianist or a piano roll performance. And I certainly can and do enjoy doing so, because Novelty piano is perhaps the single most difficult, challenging and intricate of all forms of ragtime music. Are there distinct differences between genuine rags from the late 1800s/early 1900s and rags written later in the century, post-1950? Well, first off, I cannot accept the premise that rags written during any of the several ragtime revivals that began to occur in the early 1940s and beyond are less “genuine” or authentic than those written during the original era. I’ve composed more than 70 ragtime piano pieces over the last 24+ years, and one of my goals has always been to try to infuse these pieces with the same feeling and spirit as any of the rags that came out in the early 1900s. And I would say that many of those who have written their own ragtime pieces since 1950 have probably also strived to accomplish this same purpose. However, there are two distinct schools of thought on this issue that have arisen more or less since the 1990s. A small but influential enclave of ragtime composers today consider their works to be, by design, unlike any other ragtime written before or since. The name that has attached itself to this movement is “Terra Verde” or, literally, “green earth.” The idea is to synthesize several different styles of music indigenous to North America in the 19th and 20th centuries. Most of the composers of Terra Verde, whether they label their pieces as such or not, view any other contemporary ragtime that doesn’t try to break new ground as superfluous. Also, they have attached the name “nostalgia ragtime” to said compositions. All in all, though, I have to say that although I’m not a Terra Verde composer, it is probably nearly impossible for my compositions to not contain distinct differences from the ragtime of 100 or more years ago, because my consciousness has been informed by many musical styles that did not exist at that time. Such styles would include show tunes, jazz and rock-and-roll. Try as I might, there is no way I could avoid the impact of these influences. Trying to do so would not only be futile; it would be pointless. The very factors that influence a person’s creativity are those born of their individuality. And though I can only speak for myself, I would have to say that probably all, or nearly all, of those who have written their own ragtime pieces since 1950 have written pieces that, by accident if not by design, are distinctly different from what was created, composed, published and performed a century or more ago. What do you know about the revival of ragtime? Since the early 1940s, there have actually been several ragtime revivals, each coming on the heels of the one preceding it. The earliest revival was in 1941, when a San Francisco-based small jazz combo began performing and recording a few vintage rags. That group’s pianist, Wally Rose, had always loved ragtime, and he wanted to be sure this small band performed at least a few rags. That interest helped spark the interest of others around the U.S. Additional revivals unfolded in the 1950s and 1960s. By the early 1970s, ragtime music in general and the music (and life) of Scott Joplin in particular had become a focal point of a small number of musicologists, classical pianists and members of colleges and universities across the nation. Just a few examples of ragtime phenomenon from this period: The formation of the Maple Leaf Club, a ragtime society in Los Angeles (1967); the assembly and publication of “The Collected Works of Scott Joplin” by the New York Public Library (1971); and the inclusion of several Scott Joplin pieces, including the then-rare “Solace – A Mexican Serenade” (1973). The latter two – the publication of Joplin’s works and the use of a handful of his compositions in a major Hollywood film – helped trigger an avalanche of interest and activity that went beyond the small circle of those who had always loved ragtime music. More and more musicians began to appear upon the scene, performing and recording an ever-growing number of ragtime pieces from the past as well as composing, publishing, performing and recording original ragtime pieces of their own. Technological advances including CD technology, the Disklavier piano (like a digital/electronic player piano) and all manner of electronic communication have combined to make ragtime music readily available to anyone, practically anywhere in the world. Since the ragtime era is over, how do keep such an old genre lively and new? Like all great music, ragtime music from the original era can often seem fresh and new precisely because it hasn’t been performed or heard for possibly many decades. One would never refer to a piece of classical music from any era as “old” or as representing “an old genre.” As such, ragtime music (as well as any number of great pieces of other genres of popular music such as jazz, blues, folk or even rock music) doesn’t need to be “kept new.” All any ragtime musician needs to do is to make a commitment to playing/performing ragtime music for audiences and, if one prefers, making recordings of performances, so that the music is readily available for the public. As in decades past, audiences of today have demonstrated that they enjoy hearing musicians perform ragtime music, be it vintage rags of 100+ years ago or pieces composed more recently. The fascination with, enjoyment of and dedication to ragtime is already there. You have merely to try to perfect your skill as a ragtime pianist (or instrumentalist or singer), then place your music before the public. Another factor of ragtime music that may not garner the attention it deserves is the potential for ragtime music as a vehicle for serious musical expression. Like all forms of music, ragtime can express a considerably wide range of emotions. Joplin, again, is perhaps the best example of this, although a wide range of moods and emotions can be found in much ragtime aside from his. in fact, one of the challenges for any contemporary ragtime composer when writing a new piece is to tap into a particular emotional vein and to see where those feelings lead you. Many people seemingly think that ragtime is all, 100% “happy” music, which is about the most superficial description you could give. In fact, rags can express elation and joy, of course – but also emotions like introspection, passion, tenderness, and more. Some of the greatest ragtime ever written contains considerably “dark” feelings. What differences do you notice/feel between performing ragtime music and simply listening to it? As with any art form or creative endeavor, there is certainly a distinct difference between observing, studying and enjoying the output of someone else’s creativity and in trying your hand at it yourself. My methods of selecting, learning, and working up a rag for performance involve a number of factors that are absent when simply listening to a piece being performed (or hearing it on a recording). When listening, your critical faculties are often triggered. Your mind perceives, and often flags, the elements that make the piece, or its performance, unusual, different or perhaps even unique. You listen for different textures, for the use of various tempi to heighten certain aspects of the piece, for dynamics and other indications of either the score itself or the musician/performer. And all the while, you are probably also absent-mindedly tapping your foot and allowing the music to wash over you as you would do with the product of someone else’s creativity, be it a painting, fictional work, poetry reading or classical composition. Performing a rag – and preparing a piece for performance – engages many areas of the brain and body that aren’t involved in being part of an audience. Instead of being on one side of the curtain – the audience side – you’re now on the opposite side. You’re on the stage, and as such it’s up to you to generate the audience’s interest in and excitement over whatever pieces you’ve chosen to present. First off is the selection of each individual piece. There are obviously numerous factors that enter into this process, but you generally want to create a program that is entertaining, varied/diverse, interesting from an intellectual standpoint and moving from an emotional standpoint. When I’m crafting such a program, I try to avoid playing two or three consecutive pieces that are too similar – perhaps they’re in the same key, or utilize similar harmonies or other thematic materials – so that the succession of pieces avoids monotony for the listener. Performing ragtime piano also doesn’t simply involve playing the piano. Your audience wants to learn, and a good way to assist this is to give a brief introduction to each piece in which you explain what it is about the piece that made you select it to perform. The audience now knows why you chose the piece, and you’ve given them something to pay attention to and to listen for once you begin to play the selection. The audience will feed off of your energy, and as you begin to establish a connection with your listeners, you will in turn feed off of their energies too. This symbiosis is, of course, present in the live performance of most music, and in this respect, ragtime is no different. Great music survives through live performance as well as in recordings. Ragtime today enjoys more popularity than it did in its own time – thanks to technology which has allowed ragtime to be heard all over the world. Despite this fact, though, there will never be enough ragtime musicians to be able to dig up and perform every piece of ragtime ever written, whether from the late 19th and early 20th centuries or from the most recent past. And that almost inexhaustible supply of good and even great pieces of ragtime is what fuels the interests, curiosities and passions of today’s performers of ragtime music.